Ministers of Foreign Affairs from both Belize and Guatemala, along with a representative from the Organization of American States (OAS) held a press conference on Monday, July 27th at the VIP Room of the Radisson Fort George Hotel. The conference served as a forum to provide updated information on the status of the territorial dispute and to clarify recent altercations between Belize and Guatemala. Leading the conference was Belize Minister of Foreign Affairs Honorable Wilfred Elrington, Guatemalan Minister of Foreign Affairs Carlos Raul Moralez and Chief of OAS Peace Fund Magdalena Talamás, who served as the mediator. First to speak was Elrington who elaborated on the evolution of the Guatemalan claim over Belizean territory. He also spoke on the relationship between both countries. “The relationship at every level has been very good, cordial, peaceful and very calculated. When we have difficult moments we call each other at the Foreign Ministry level, at the Prime Ministerial/Presidential level and at the technical level to work out the issue. Belize’s military works side by side with the Guatemalan military…Belize Police work with the Guatemalan Police…so we have a harmonious relationship that really is the envy of the world,” said Elrington. 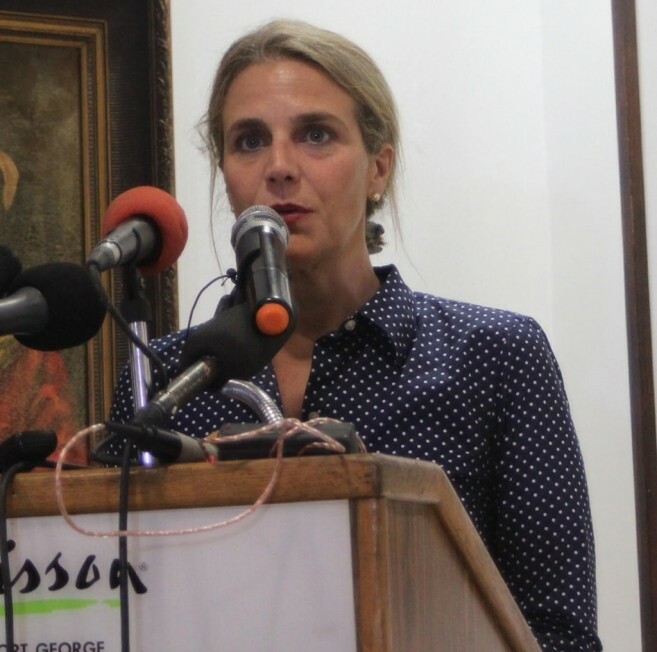 In speaking on the referendum to decide whether the territorial dispute should be settled at the International Court of Justice (ICJ), Elrington stated that it is the people who will make that choice in due time. “The Guatemalan Government doesn’t want any disharmony between us. They want us to live in peace and harmony and they want to go to the ICJ. That is the official position of the Guatemalan government and Belize government. But both of us understand that we don’t speak as a government unless we speak with the authority of our people. We believe that this is the right course for us to take, and we are educating our people, but we understand that only our people can give us the authority to do that. 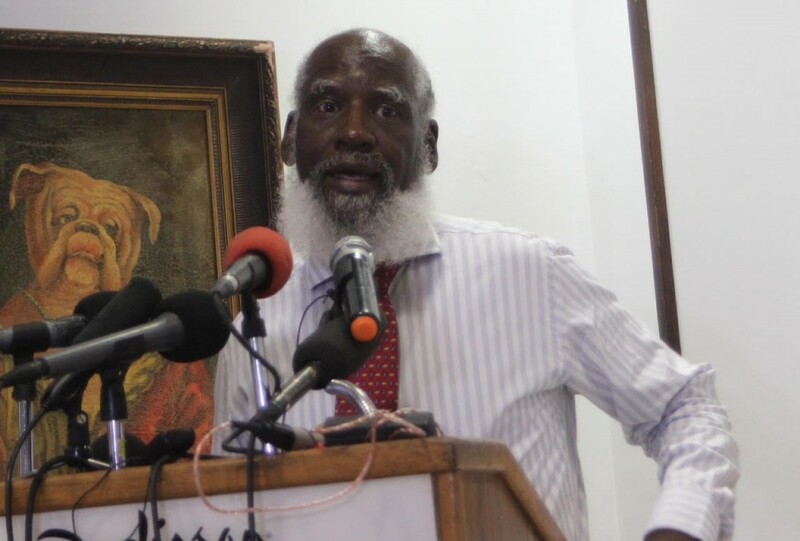 In the case of Belize, the decision that we must go to the people was taken deliberately during the early days because of suspicion on the part of the Belizean electorate with respect to the motives of the then Belizean government, and that is how the idea that we have to do a referendum came about. We officials believe that the ICJ is in fact the only place to go and solve this problem once and for all,” said Elrington. Elrington assured Belizeans that while the dispute remains to be put before the ICJ, both countries are moving forward with normalizing friendly relations with trade and bilateral cooperation on a number of other issues, formalized by the signing of 13 agreements at the Heads of Government Summit for the Central American Integration System (SICA) in Placencia last December of 2014. Moralez elaborated on the Government of Guatemala’s desire to maintain a good relationship with Belize until the territorial dispute is settled. He assured his Belizean audience that Guatemala wants peace and to live in harmony with their Belizean neighbors. Moralez also spoke on their plans to hold their referendum by 2016. He indicated that due to civil unrest in the country, plans for the referendum had to come to a standstill. Moralez also mentioned that in order to hold the referendum simultaneously with their general election, changes will need to be made in their electoral law which will cause a further delay. “Congress is in the process to debate what changes it will do to the electoral law because we need to change it. I would like to do this referendum in October with our elections, but sadly for me, the priority of my congress is this present moment is the changes to the political law. But there is another window of opportunity because probably, we have to do another change to our constitution and it will require the elections of constituency assembly and by next year, probably, we will go on elections again and there will be another opportunity to do the referendum. My message, is we need to go as soon as possible to the ICJ; we need to solve the dispute. 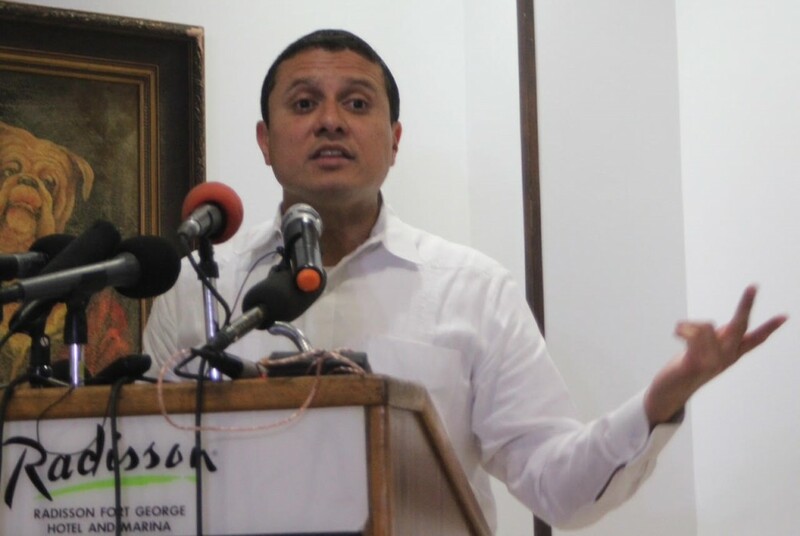 It is not possible to still have this issue between two brothers, and Belize and Guatemala are very good brothers,” said Moralez. The original arrangement was for the referenda to be simultaneous, but as Morales explained, there are certain cultural differences that make this difficult, all elections in Guatemala are normally held on Sundays, as a sizeable portion of the electorate might not attend the polls to vote, if the vote were to be held in midweek. In contrast, Belize normally holds its elections, whether for village councils, town boards or national elections, on a Tuesday or Wednesday, usually midweek. A main issue discussed during the conference was the dilemma with the construction of the Belize Coast Guard Forward Operating Base (FOB) in Sarstoon Island. Moralez indicated that the confidence building measures signed in 2000 and 2005 included an agreement to not construct additional military bases and to not increase the military presence from either country in the adjacency area. “What we want exactly is to avoid incidents of altercation, because it is demonstrated that every time there is an incident it damages the bilateral relations. 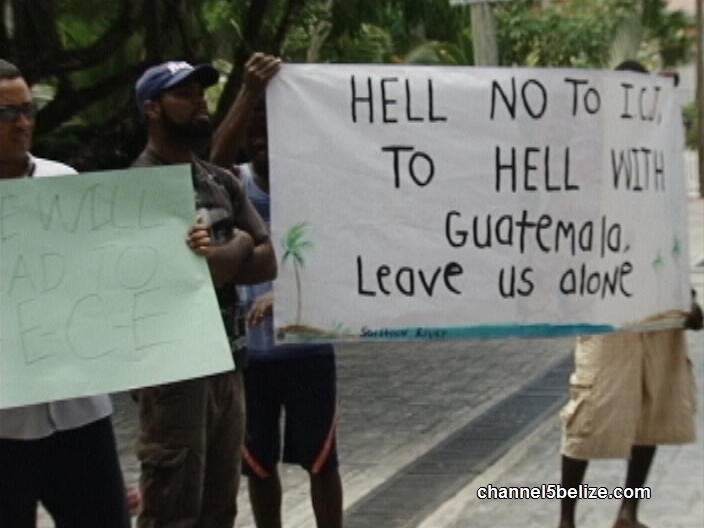 And I am very sure that the Belizean population and the Guatemalan population don’t want to be enemies. They don’t want to feel anything bad against the other country and the base would only create problems,” said Moralez. Elrington affirmed Belize will be building its base on Sarstoon Island as soon as it is convenient, and that the decision was entirely decided by the government of Belize, and was in no way influenced by the Guatemalan government. He assured the nation, speaking also for the benefit of his Guatemalan listeners, that Belize had no intention of building a military base near the border nor in the sensitive Adjacency Zone, to avoid the possibility of an incident of confrontation between the security forces of both nations. He said the proposed base on Sarstoon Island was to be for the Coast Guard to patrol and enforce Belize's environmental and fisheries regulations, and to combat drug trafficking, pressing issues that affect both nations. Morales voiced his assent to this motive. Minister Elrington went on to describe how Guatemala had recognized Belize' existing land boundaries in a Treaty signed with Great Britain in 1859, but Britain failed to fulfill a condition of the agreement - to build a highway or railroad from Guatemala City to the Atlantic coast, the Guatemalan government sought to repudiate the treaty declaring it null and void. It was no coincidence that Guatemala revived its territorial claim to Belize after 1945, at a time when the British government was burdened with paying off a war debt to the United States for warships, airplanes, tanks and guns received during the war; a debt so significant that it caused a devaluation of the British pound sterling and a collateral devaluation of the Belize dollar. Belize has always maintained that Belize's early settlers had already established control of Belizean territory from 1798, and the then colony of British Honduras was no longer under Spanish control when the Republic of Guatemala came into existence with their independence from Spain 1821. 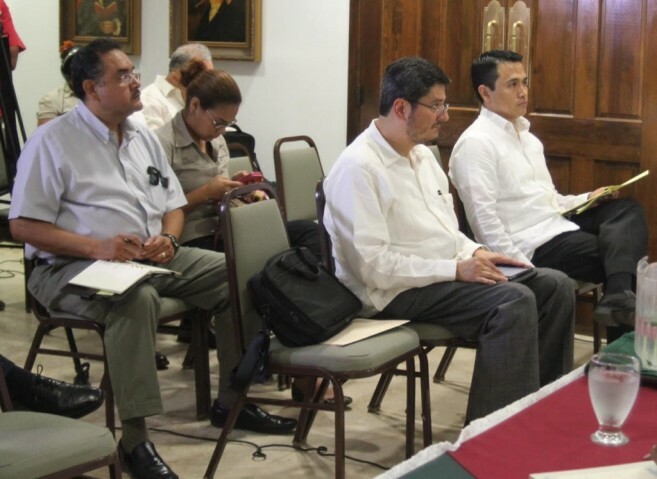 Other issues discussed included the more recent incidents when Belizeans were detained by Guatemalan security forces and the matter of a tourism police killed at the Caracol archaeological site, for which Guatemalan cross-border criminals are believed to have been the culprits. While the conference seemed to flow smoothly within closed doors, Citizens Organized for Liberty through Action (COLA) and Vision Inspired by the People (VIP) protested it from the outside. ““We are not in support of going to the ICJ. We understand that there is a dispute that needs to be solved. COLA has written a formal document in making a proposal. I was very frustrated to see how the Minister Elrington keeps on making comments about those who oppose the ICJ, inferring that if you oppose going to the ICJ, you are not intellectual enough, you are not smart enough. It appears to me that the only smart one dealing with this situation is Elrington, and everybody else seems to be dumb because he has downgraded everybody who seems to oppose going to the ICJ. 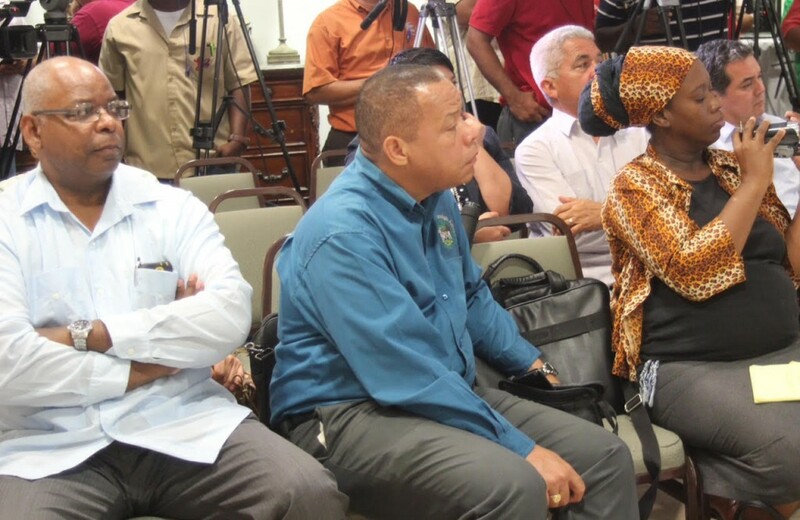 And I think that he has not represented the Belizean public in the best interest and he should be removed or be recalled by the voters now,” said COLA President, Geovanni Brackett. COLA intends to launch a nationwide campaign against going to the ICJ to solve the territorial dispute between Belize and Guatemala. The peace process has the full support of the Organization of American States and Belize's Group of Friend, which include the United Kingdom, the United States, Mexico and the Republic of China on Taiwan, who all wish to see a peaceful and expeditious resolution of the territorial dispute. Both countries are seeking to educate their population on the issues to be voted on in the referendum; and Talamás assured that the OAS will do everything it can to facilitate this process.